Creating a wheelchair accessible bathroom for Independent Living needn't be stressful. In this blog post, we’ll demonstrate some quick fixes which can help adapt your existing space to wheelchair use. 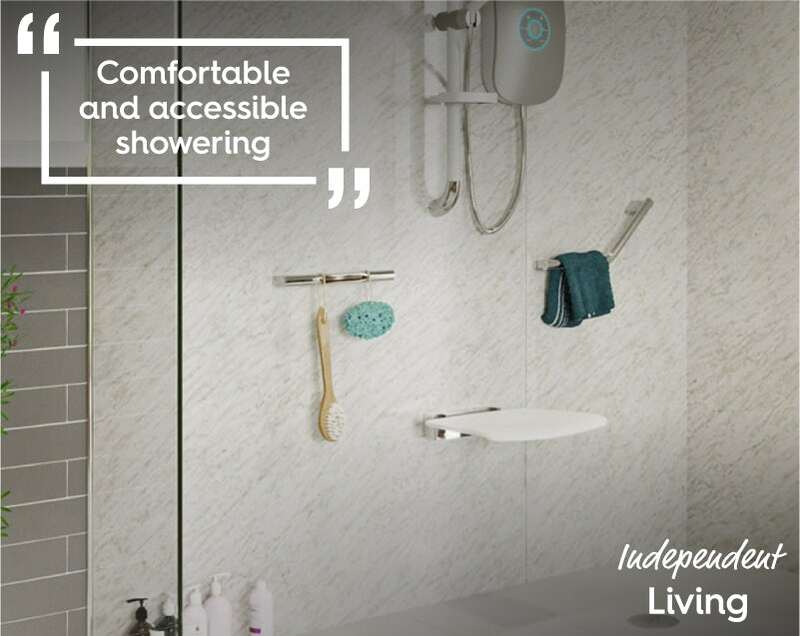 With an estimated 1.2million wheelchair users in the UK many of us need to take accessibility into account when designing or refurbishing a bathroom. Whether you are moving into a new property or having to make an adaptation for the first time, you’ll find that some of the easiest changes can also be the most effective. 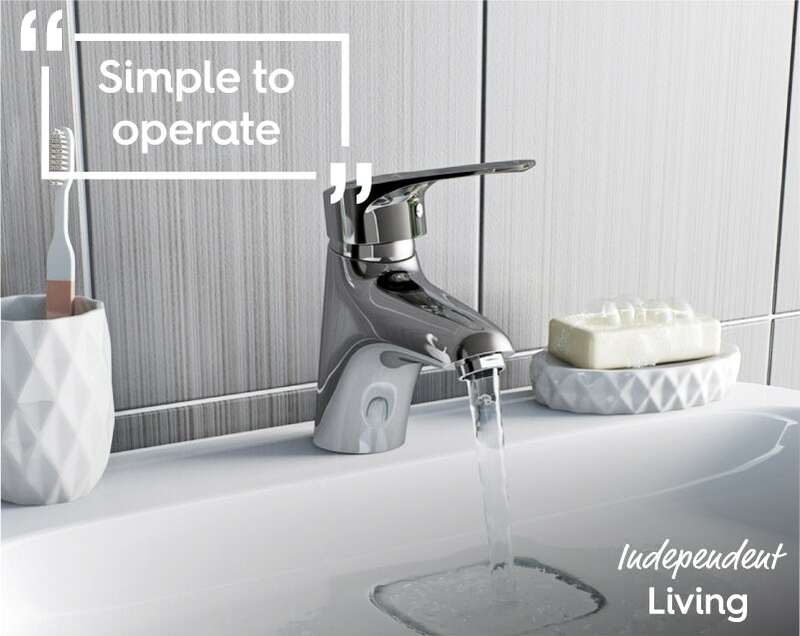 By making some of the quick fixes below and combining with our range of Independent Living bathroom products, you can quickly create a stylish bathroom for a wheelchair user. Pedestal basins are the most common type of basin we sell here at VictoriaPlum.com. The pedestal is handy, as it conceals unsightly pipework from view. However, where it isn’t so useful is when you need space beneath your basin for a wheelchair. Swap your pedestal basin or vanity unit for a wall hung basin or semi pedestal basin. The wall hung design should give you plenty of clearance to position a wheelchair, as long as it is mounted at a comfortable height. Better still, a basin shelf with countertop basin allows you to keep things stylish. With the extra reach involved, it pays to ensure taps are simple to operate. Bath and basin mixer taps with a single lever are by far and away the easiest and most stylish of options. Better still, you could add a tap to a smart showering system for voice-activated use. In the average bathroom, you will most likely find high shelving, which keeps items up and out of the way of your main fixtures. 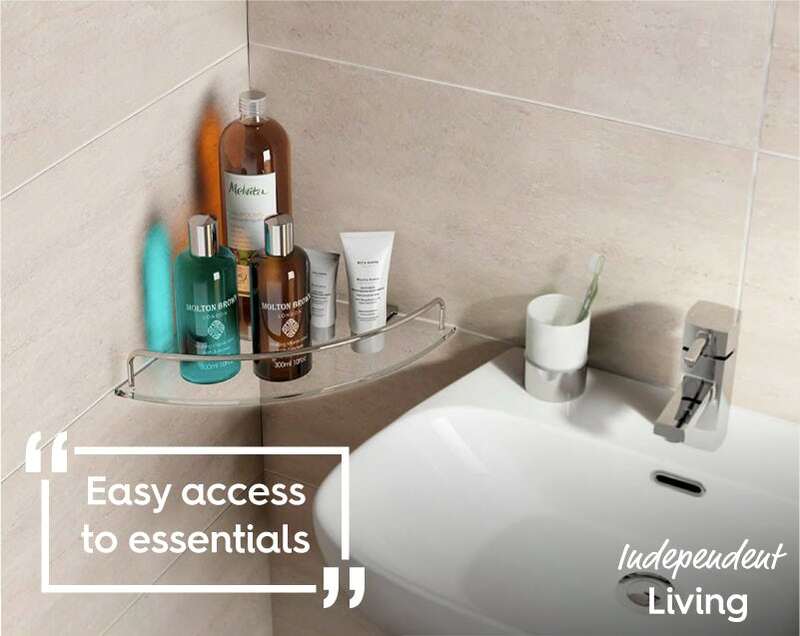 In a wheelchair accessible bathroom, you will need lower shelving for all those essentials. This can be done with simple wall fixed shelves or by purchasing freestanding shelving units. With the Croydex range of Flexi-Fix accessories, you can even glue items to the wall and swap them around when necessary, thanks to universal fixing plates. The AKW Onyx range also offers a fantastic selection of accessories, specially-designed for accessible bathrooms that can be combined with grab rails. Depending on the wheelchair user’s transfer preference, space will be required around the toilet area. If you already have this space, a fold down grab rail can be added with relatively little fuss, to help ease the user onto the toilet. 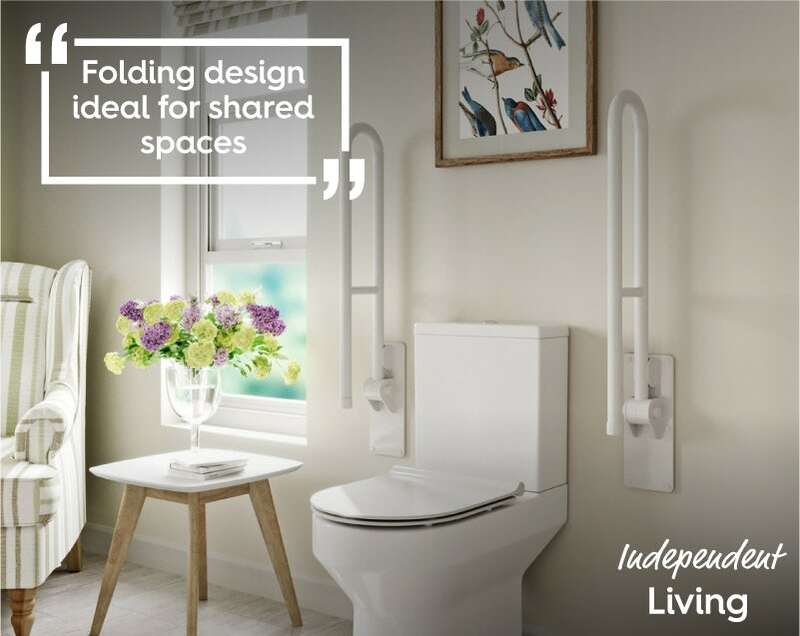 The folding design is ideal, especially if it is being installed in a shared bathroom. Again, you will need to think lower in terms of positioning for things like mirrors. 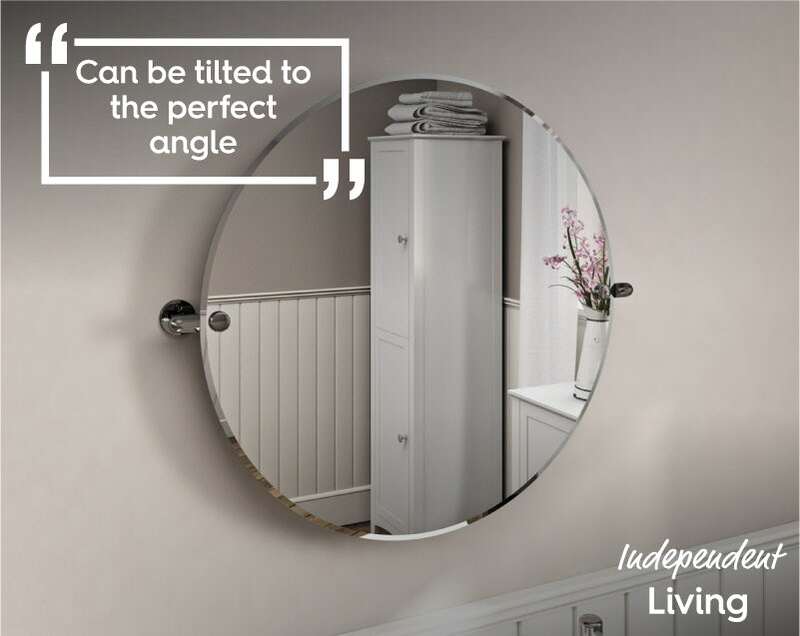 A pivot mirror is great for shared spaces as it can be tilted to the perfect angle. To help with showering, fit a shower seat to an existing shower area. Whilst there are many shower seat options which are designed to meet a variety of needs, a fold-down design is optimal in a shared family bathroom and produces a more stylish appearance. Grab bars can be fitted where necessary for an easier transfer. 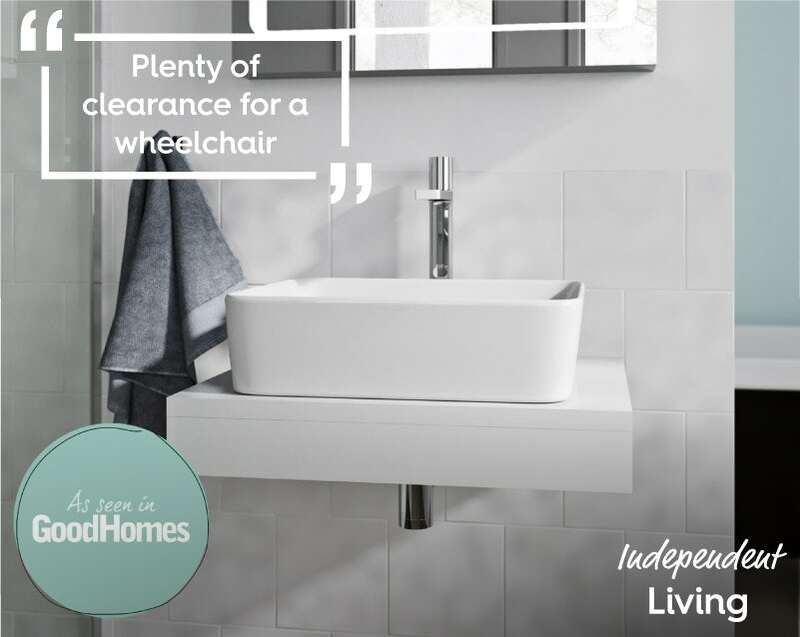 Creating a wheelchair-accessible bathroom needn't mean compromising on style. Discover how to design a stylish bathroom for a wheelchair user.